Step1:Plug the device in the power supply, wait for 5~10 second and connect the WIFI "Wireless-N"with your phone or other smart devices. Step2:Landing the "192.168.1.254" address in your web browser with password "admin". Step3:Select Repeater mode, click "Wizard" ,then click "Wireless Repeater Mode ". Step4:Select the Wi-Fi that you need to extend, then you can change the Repeater SSID as you like. Step5:Input the password of your router in the security box, then click the"Apply" and wait for 5~10 seconds. (If you input a wrong password，please reset the device. ). Step6:Open your phone Wi-Fi list and refresh it, find your repeater and connect it with the password. 2,when you move the wireless-n mini router to another place where the ip address of the wifi repeater differ from the previous one . 3 you mistakenly enter the password and click"Save", or you forget the password. 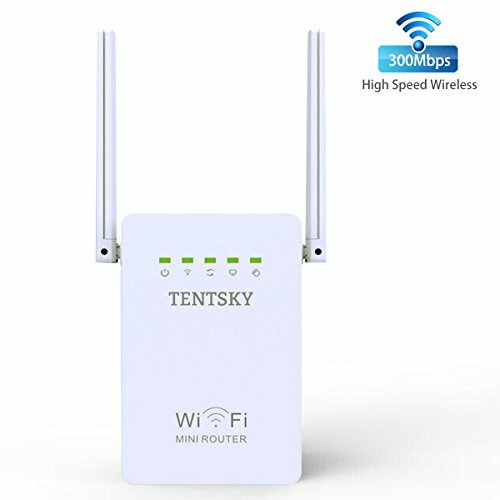 If you have any questions about this product by TENTSKY, contact us by completing and submitting the form below. If you are looking for a specif part number, please include it with your message.